In 1992, Ray L. Baker, composer, musician and artist established Touch Music Productions later changed to RLB Productions, as a music production company assisting songwriters, singers and instrumentalist by producing professional "Demo", "Album Projects", Accompaniment Tracks, Notated Lead Sheets, Choral and Orchestral arrangements as well as music for plays, drama productions, radio and video productions. 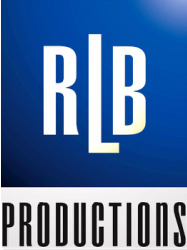 Not only does RLB Productions provides songwriters, singers and instrumentalist with professional music productions, it also has a music publishing company, Ray-Pam Publishing, a BMI affiliate with an extensive repertoire of songs written by Ray and Pamela Baker for artists needing original material for recording projects. Ray-Pam Publishing mantra is: "Original songs for the Original Artist"
RLB Productions also promotes the performances of saxophonist/pianist/composer Ray L. Baker as well as concerts such as the Joy To The World Jazz Concert, a performance of standard Christmas songs arranged by Ray L. Baker in the various forms of jazz such as Swing, Bebop, Funk and Latin jazz and the Jazz OnStage Concert Series, a performance of Ray's compositions performed by musicians and vocalists in the Dallas/Ft.Worth area. For more information, please submit the following.